David has created a unique after school program entitled Learn to Play (LTP) for boys and girls ages 6-10 who want to get into golf. 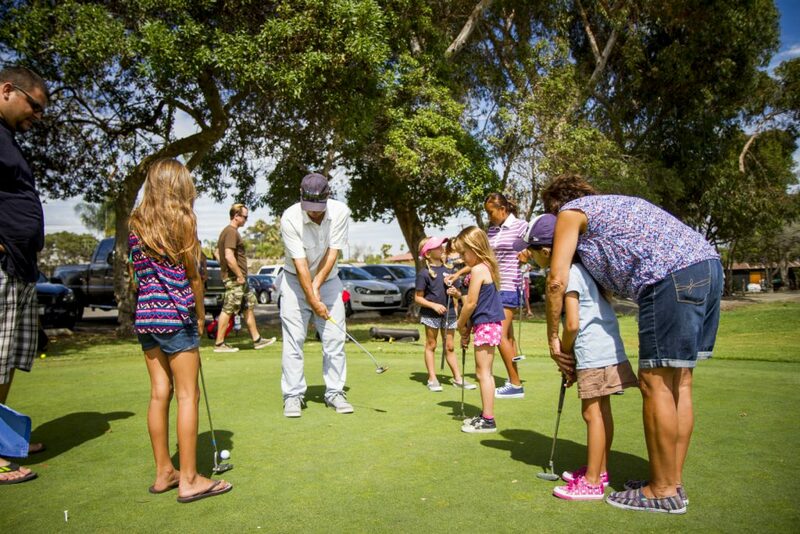 This program is designed for beginner and kids with little experience are encouraged to get their start with Coach Dave at the super fun Goat Hill Park in Oceanside! As it's so important to learn to play the game the right way, with integrity, etiquette, and sportsmanship, that is Dave focus with the LTP program. But don't worry, Coach David also teaches the kids how to swing the club with the Y and L method specially designed for kids, it is fun and easy to learn! Cost is $75 for NCJGA members and $100 for non members. Range balls are not included in price. Class meets weekly for 1 hour and 5 kids is maximum so your child gets plenty of attention. Enjoy learning the Game of Golf - the game for a lifetime!